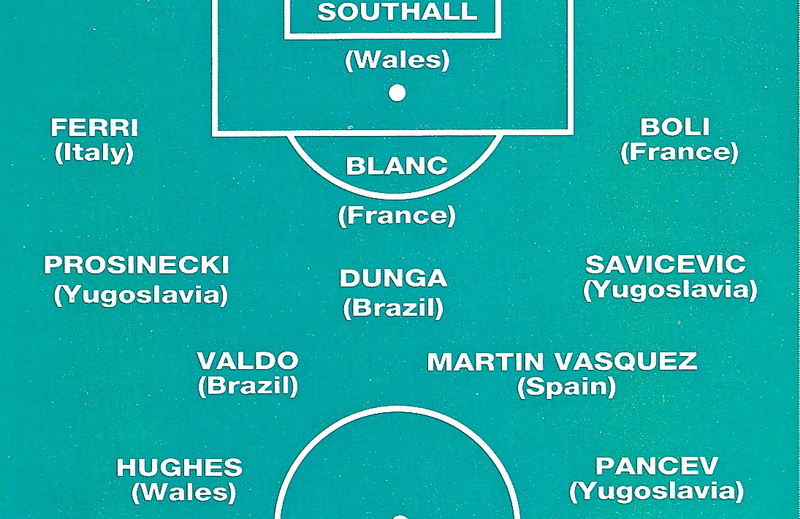 Previously on BTLM we have taken an affectionate look back here at the eccentric football writer Eric Batty and his ever-fascinating World XIs published in World Soccer magazine between 1960 and 1992. 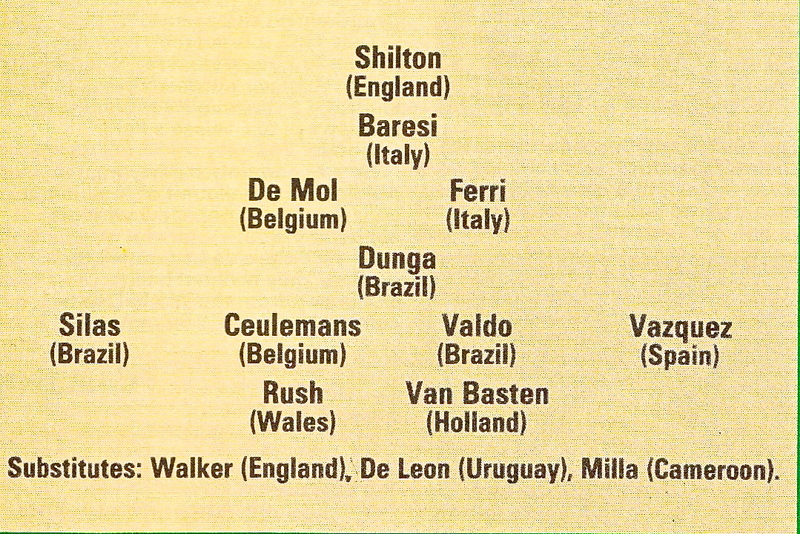 We’ve also looked in detail at the players selected for these World XIs during the 1960s and the 1970s, and this time round we’re taking a look in-depth at Eric’s picks from the 1980s and the early 1990s – an era of the game that was a source of nothing but unremitting gloom for poor Eric. Sheer bloody-mindedness or a bold attempt to defy footballing convention? 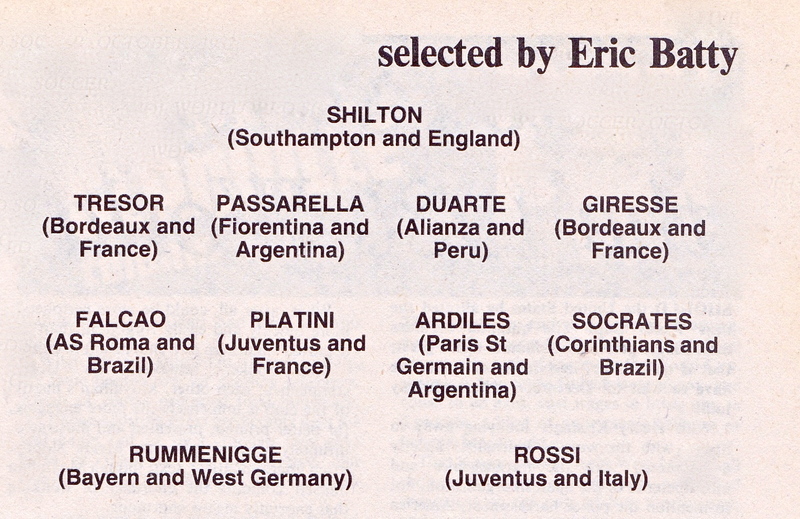 With Eric you never could be too sure which motivated his invariably curious latter-year World XIs. The further in time Eric moved away from the warm, golden glow the Mighty Magyars and Di Stefano-era brought him, the frostier and more unwelcoming modern football seemed to him. Eric was never overly taken with new trends in the 1970s, but at least there were players like Franz Beckenbauer and Gerd Muller around to put a thin smile on his face and give him some reason for future optimism. 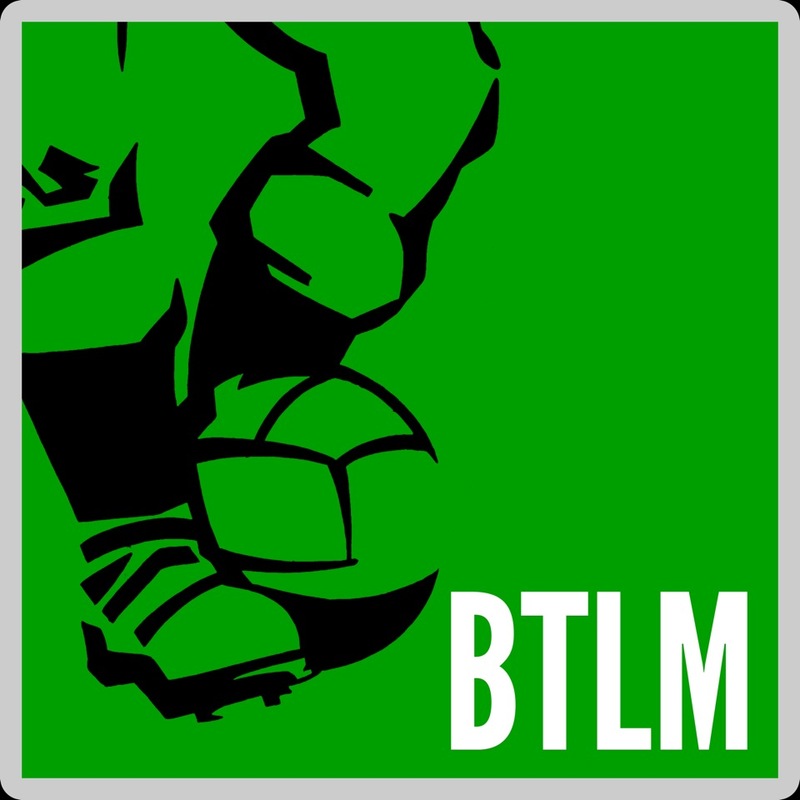 The Eighties had little redeeming value as far as Eric was concerned and BTLM wonders if this was part of the reason that no World XIs were published in 1980, 1981 and 1988. Perhaps he just couldn’t fight his way through the tears for the game he loved and lost to put pen to paper in those years. So his baffling tactical formations, unusual player and positional choices and radical dispensation of wingers and full-backs could either be interpreted as Eric’s idea of the radical surgery needed to shock a dying game back into life, or a recognition there was nothing he could do to revive it – so why not morbidly defile the corpse instead. True to his nature, Eric at least stayed gloriously opinionated and resolutely contrary all the way through to 1992 when his last World XI was published. He died in 1994. 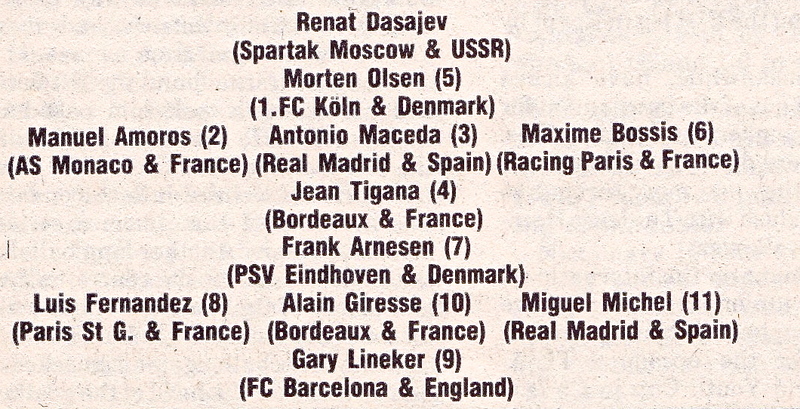 Alain Giresse was Eric’s favourite player of the 1980s, or at least the one he picked more times (5) than any other. Alain was made to work for his selection though with Eric choosing him to play in a wide variety of different roles in different years. In 1982 he’s picked at left-back in a very narrow looking team that features a central defender – Marius Trésor – in the other full back position and four central midfielders. Eric was a fan of Kalle Rummenigge and selects him this year despite the West German international having an injury-blighted season. In 1983 Trésor switches back to central defence with the Peruvian, Jaime Duarte, moving from central defence to right back. Giresse soldiers on at left back and in front of the defence the team is identical to the previous selection, with one exception: Paolo Rossi is dropped and yet another central midfielder – Toninho Cerezo – is chosen instead. It’s an interesting team in respect of being an early example of a 451 formation, albeit one with absolutely no width at all. The formations start to assume odd shapes in 1984. Out goes a four man defence in favour of a three-man version that features a sweeper, a stopper and poor Alain Giresse as a right-sided central defender. Eric would have argued that his lack of height and defensive nous wasn’t important: there were few wingers in the game and thus few crosses to exploit his weakness. We get this, but there was still always going to be corners or set-pieces delivered from wide positions to defend against which Giresse just wouldn’t be able to do. As that year’s European champions, France is understandably the main contributor with four of their winning squad included. The 1985 team is a very tricky one to work out with Morten Olsen appearing to be a sweeper behind three central defenders, only one of whom was an actual central defender. By selecting deep-lying midfielders like Ray Wilkins and Soren Lerby who were recognised for their ability to read the play, Eric is favouring players who can break up attacks before they take root. All fine, it’s just the general imbalance of reactive to proactive defenders that makes this a skewed line-up. The inclusion of the Armenian Khoran Oganesian is odd too considering he was serving a lengthy domestic ban for bad behaviour at the time. It’s 1986 and Argentina are would champions thanks to the goals, genius and yes, cunning, of Diego Armando Maradona. Not that this is enough for the world’s greatest player to earn a World XI place from Eric of course; the perplexing reason offered is that he just doesn’t deliver frequently enough. It’s a team with more recognisable shape and less square pegs hammered obstinately into round holes than recent years and Alain Giresse finally gets to play in the attacking midfield role he was known for. 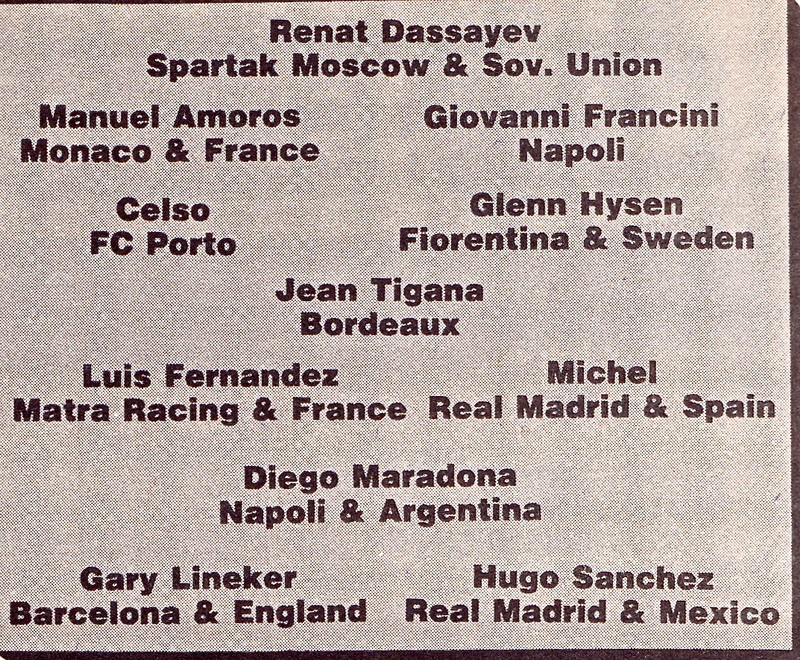 Napoli’s Giovanni Francini is picked at left-back in 1987 to become the very first player without an international cap to be selected in a World XI (although he did subsequently appear for Italy). Maradona’s brilliant form in inspiring Napoli to the Serie A title is at least recognised this year. According to Eric, Diego has “only just become convinced he has a heart and not just a bank balance.” Eric had an odd love-hate relationship with Maradona and the Argentinian was undoubtedly his eighties whipping boy – just as Cruyff had been the previous decade. Also harking back to the previous decade was the powerful international duopoly the Dutch and the West Germans had formed by 1989, one mirrored at club level in Italy by Milan and Inter. While he admired Dutch football in general, Eric was always fairly reserved in his praise of its practitioners. His 1989 team does contain five Dutchmen certainly, but commentary on them is fairly lukewarm. Always much more enamoured generally with German players, Eric surprisingly chooses to totally ignore the brilliant Matthaus, Brehme and Klinsmann generation. Franco Baresi is selected in the 1989 defence but in one of the most bizarre omissions of the World XI series, his Milan teammate Paolo Maldini never makes an appearance. It’s especially baffling when his place is taken this year by the not especially highly rated Colombian, Luis Carlos Perea. One of Eric’s pet players was Sporting Lisbon’s Brazilian international, Paulo Silas. While an undoubtedly talented player, Silas was fairly slight of build and light of spirit. His underwhelming career, particularly at club level, was not one that merited his successive World XI selections in 1989 and 1990. Eric talks up the managerial talents of Sebastião Lazaroni, perhaps the Brazil manager who was least true to the attacking virtues of the Brazilian game that Eric admired so much. Ian Rush became the first Welshman ever to be selected. In 1991 it’s back to a three-man defence, although the players are at least all proper defenders by trade. Red Star Belgrade had become the latest flavour of the month and Prosinecki, Savicevic and Pancev all feature this year. Silas isn’t picked but his similarly underwhelming compatriot, Valdo, is. Neville Southall and Mark Hughes becomes the second and third Welsh players chosen, this after a three-decade long Welsh drought had ended the year before when Ian Rush made the cut. 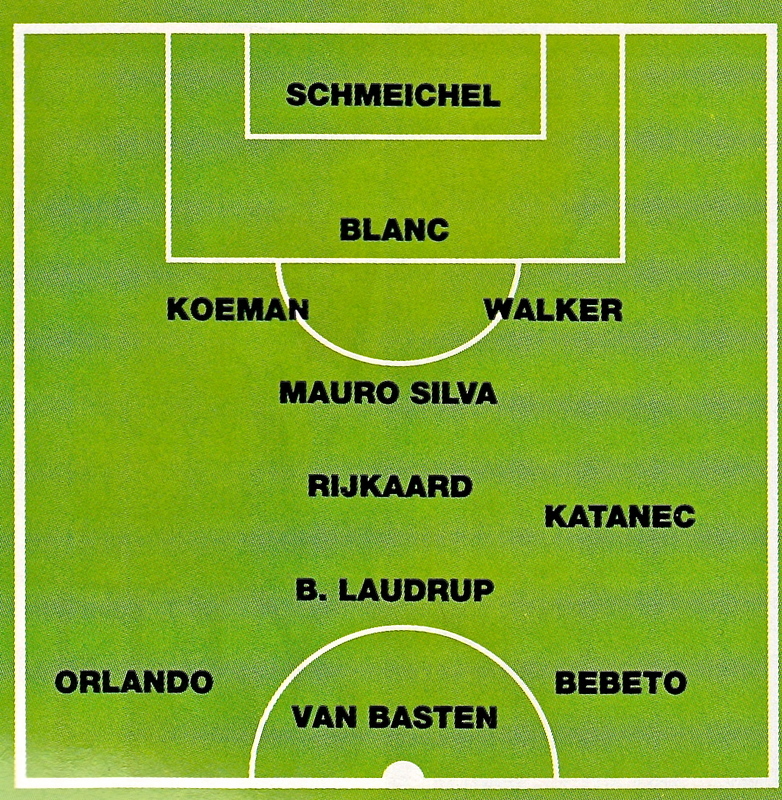 The 1992 team is unintentionally confusing with the pitch schematic showing an Orlando on the right-wing. This should have of course been Sampdoria’s Attilio Lombardo. It was fitting that Eric went out on a high by selecting an old-fashioned, flying winger in his team – just like the good old days. Craig M your comments are interesting but the reader doesn’t get any of Eric’s analysis and this is a problem with your piece. Referring back to 1982 Eric equates Tresor to Beckenbauer and writes about Duarte clearly as a right back. For the sake of the length of the piece the comments about the individual years are short. Check out the first article in the Batty series however; this focuses on Batty’s views and reasonings throughout the life of the World XIs. I accept your point, but to state that such a side doesn’t have balance on paper in 1983 Suggests that you haven’t considered the width may well come from ball possession and movement. Are these great players going to stay central? In reference to the absence of Maradona in 1986 you say that he ‘ doesn’t deliver often enough’ and you call it perplexing, whereas Eric’s qualification is ‘…in the case of Maradona, long breaks; hiding among the masses in midfield , once their team is winning.’ I think you have done well to produce the pieces but your analysis would be better employed using Eric’s words. like to a few words about him.